In recent years, stainless steel pumps on the market have greatly improved both the quantity and quality of the products and the market share. The prospects for the development of the hardware stainless steel pump market continue to improve. It is predicted that the trend in the next few years will be bigger and stronger. The direction. It is reported that the technical level of stainless steel pump products has been greatly improved. 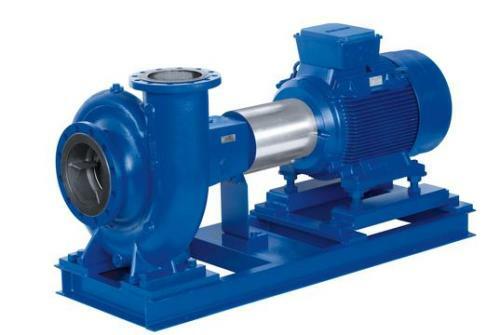 By introducing absorption, renovation, and digestion and innovation, the new generation of pumps in China has reached the international level in the late 1980s and early 1990s, especially The supporting products of these major technical equipments have reached or approached the advanced level of similar international products. Li Cheng, chairman of the China Stainless Steel Special Steel Association, analyzed China's stainless steel consumer market. From the perspective of consumption, at present, China's apparent consumption has reached the world's highest level of nearly 1/4 of the world's total consumption, per capita consumption of stainless steel reached 3.4KG, leapt to the forefront of developing countries. However, the growth rate of consumption has gradually slowed down. It has been transformed from the ultra-high speed development stage with an average annual growth rate of over 30% to a steady development stage with a current growth rate of 6.43%. It is reported that the development time of stainless steel centrifugal pumps is later than that of cast iron pumps. Six types of energy-saving products such as pumps will be included in the scope of financial subsidies. Pumps are large consumers of energy. It is estimated that 20% of the country's electricity generation is consumed by pumps. Therefore, the improvement of pump efficiency will be more significant for energy conservation. Stainless steel pumps are more environmentally friendly and have more room for development than cast iron pumps. In the large-scale construction, stainless steel pumps have more advantages, and cast iron pumps gradually fade out of the market. The product range of stainless steel pumps is also relatively abundant. Although the cost of production is high, the cost of stainless steel pumps will gradually decrease as the market expands and the application area increases. In the water industry, the problem of water being contaminated during its storage and transportation has become increasingly important. A large number of practices have proved that stainless steel is the best material for the water industry such as preparation, storage, transportation, purification, regeneration and seawater desalination. The advantages are: corrosion resistance, shock resistance, water saving, hygiene (no rust and copper green), light weight (1/3 reduction), easy maintenance, long life (40 years can be used), low life cycle cost (LCC), It is a recyclable green material. The stainless steel pump has a good market development prospect, not only the civilian stainless steel water pump, but also the stainless steel industrial pump required by the industry. The stainless steel pump must be able to become the pioneer of the pump industry in China and contribute to the development of the stainless steel pump industry in China. Domestic enterprises should seize the opportunity to improve the product's innovation capability and competitiveness, and increase the share of the international market based on the domestic market.